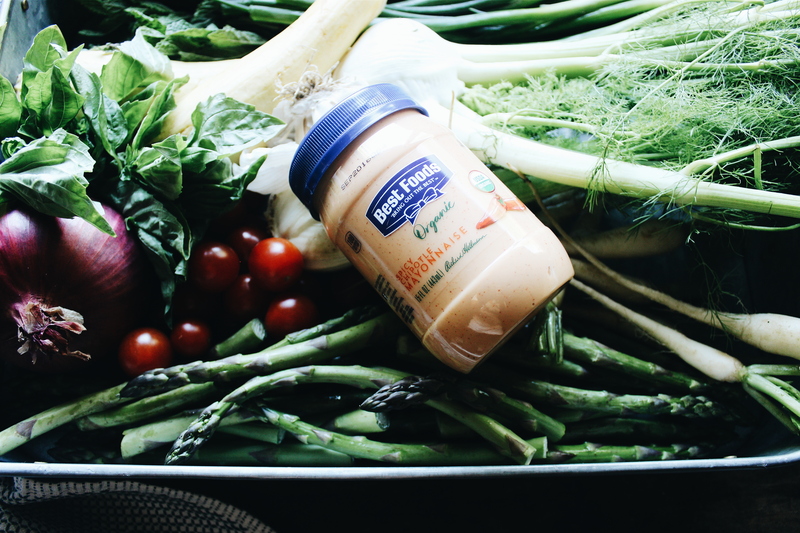 The versatility of Best Foods Organic Mayo (Original, Roasted Garlic, and Spicy Chipotle) is the best part about having it in your pantry. As a home cook the new Mayo flavors provide so many options for so many dishes. 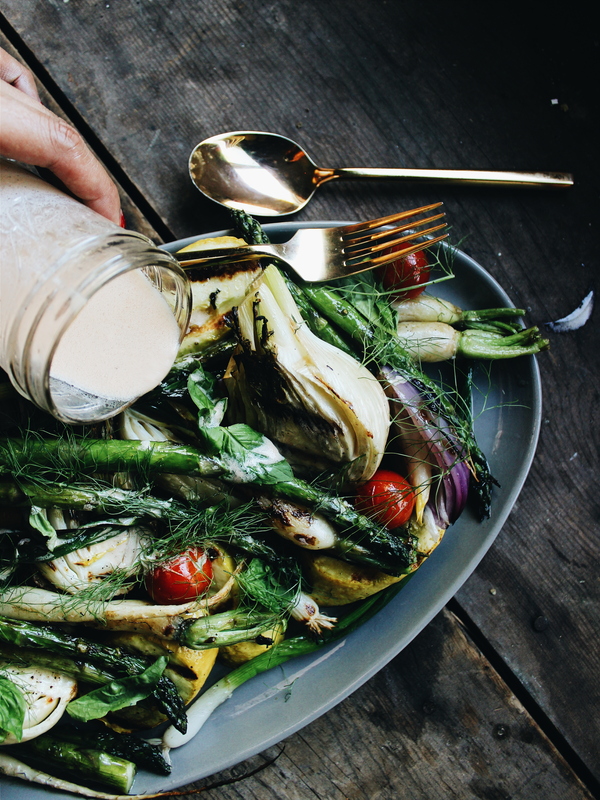 The spice from the Organic Spicy Chipotle mayo is perfect with grilled foods and the fresh produce from local farmer’s markets in the summertime. The mayo makes a terrific addition to vinaigrettes and is incredibly useful for sauces and dips. With only a few additional ingredients it is so simple to transform Best Foods Organic Mayo into tangy and vibrant dressings and marinades. In a small mixing bowl combine mayo, vinegar and lemon juice and whisk together. Slowly drizzle oil and whisk together until emulsified. Set aside. Turn gas grill on to highest setting. 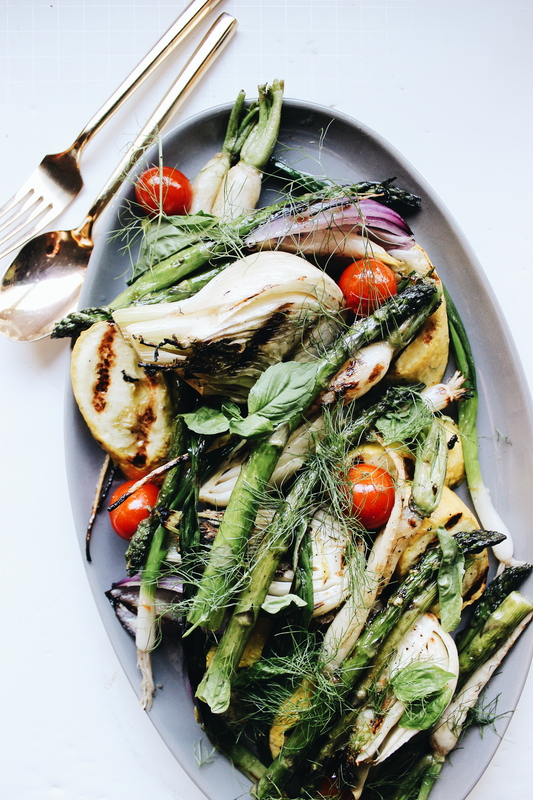 In a large roasting pan or cookie sheet arrange the vegetables and coat with oil, salt and pepper. Remove from grill and transfer and arrange on platter. Garnish with fresh basil and mint. Drizzle vinaigrette over vegetable medley. Season with salt and pepper to taste.